With over 150 years of experience in advanced wound care, Smith & Nephew is an industry leader providing innovative solutions to meet the needs of chronic, acute and traumatic wounds across all care settings. Smith & Nephew’s extensive selection of pumps, canisters, kits and accessories are each comfortably designed to meet the unique complexities of your patient’s wounds. 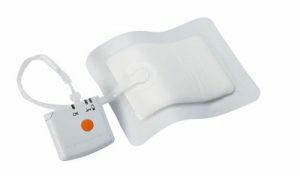 Rapid Recovery is proud to offer the PICO Single Use negative pressure wound therapy (NPWT) system.